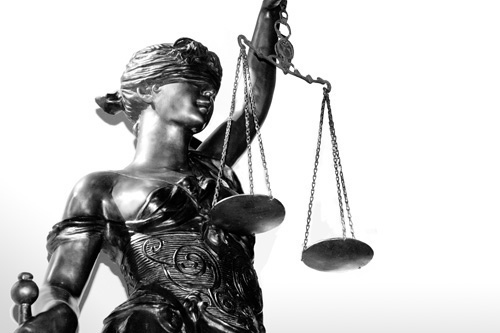 Justice is traditionally represented by the symbol of a scale, where the strengths of a case’s opposition and support are weighed out, ostensibly with impartial objectivity. This symbolism is noble but doesn’t take into account the often-unconscious biases that we carry into so many situations, the collective sum total of which amount to institutionalized racism, sexism, classism, and more. Even so, the scale is an important symbol that helps us to visualize countervailing energies. I believe that somewhere there is a metaphorical scale that is collecting the courageous responses that have been flowing so strongly these past weeks: from the thousands of people of color and white folks showing up in the streets of New York, Oakland, Chicago, St. Louis, and other cities – often in the face of police armed with military-grade guns and equipment, teargas canisters, and even tanks – to individuals who are writing brave words, folks like Paul Gorski talking about the challenging conversations we need to be having, and like Jessie S, naming how anti-black racism lives in each of us and what to do about it. On the other side of the scale are the acts that have provoked these responses and the silence that so often accompanies them. This past week it was the decisions from Missouri and New York grand juries to not indict the police officers who killed Michael Brown and Eric Garner, respectively. But these are simply the latest in a long long long line of injustices, and the conspiracy of silence and complicity which keep those injustices in place. As terrible as these grand jury decisions have been, they are serving the purpose of waking up a lot of people who have been oblivious to or in denial of racial injustice. It’s pretty impossible to deny that something is horribly wrong when you watch the video of Eric Garner – a peaceful and unarmed man who did nothing more than selling a few cigarettes on the street – pleading for his life. And then you realize that the officers involved are not being held accountable in any way. And then you learn that young black males are 21 times more likely to be shot dead by the police compared to their white counterparts. The scale is there, waiting for you to weigh in. Which will it be? Speaking out the truth of this suffering and finding ways to respond to it… or remaining silent, eyes closed, living in the ignorance of your personal comfort zone. I am speaking right now particularly to those of you who identify as Buddhist, and who happen to be white. If you choose to remain silent now, to turn away, you are weighing in on the side of perpetuating the injustices that run rampant in our society. I realize the title of this article will irritate dharma practitioners who have studied and practiced the way of non-duality. I am one of you (a longtime dharma practitioner), and I get that. I get your concern. And – this is an invitation to realize that non-duality includes points at which we need to take a stand on the side of love. You can hold a place of compassion for an individual officer who may have been trying his best in the moment, and yet call out the ways that he (or she) acted from a place of unexamined bias, and call out a ‘justice’ system that is blind to the reality of racism. Use your dharma practice to help you settle into a place of receptivity and curiosity…. And get in touch with your deep intention to help all beings be free from suffering, yourself included. Listen. Listen to the experience of people of color without jumping to defensiveness or explanations. Be willing to be in a space of ‘not knowing.’ We have much to learn. Educate yourself about the dynamics of institutionalized oppression and privilege. Here’s a great place to start. Understand that racism hurts all of us. Don’t act out of guilt. Realize it is in everyone’s best interest, including yours, to dismantle an unjust system. Organize a conversation about institutionalized oppression, racism, and privilege in your sangha. Get inspired by the models of the East Bay Meditation Center and Brooklyn Zen Center who have put the values of diversity and inclusivity at the heart of their practice. 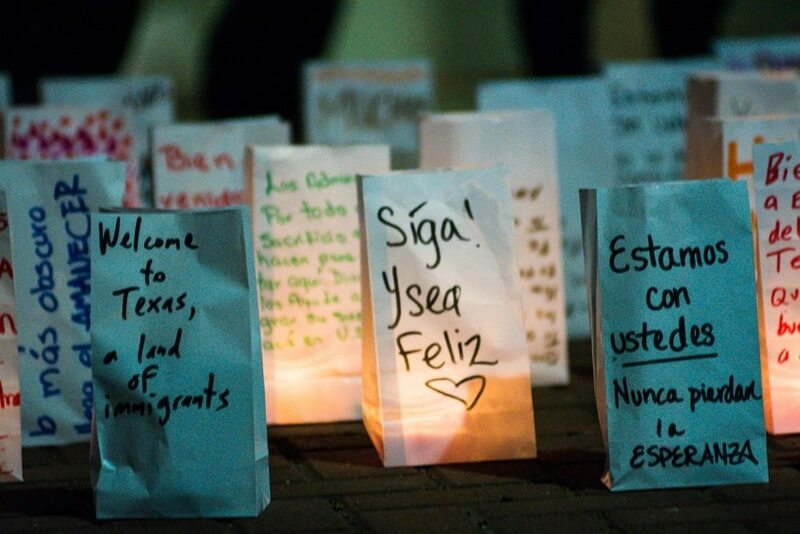 Show up in support of actions that are happening in your city. Join up with Sangha in the Streets, a Facebook group where you can find out about ways to offer a contemplative presence at these actions, or initiate one yourself. Start a conversation about what the Beloved Community would look and feel like, talk about your vision and listen to others. Check out this video from Dr. Lee Lipp, a senior practitioner at San Francisco Zen Center. Above all, don’t be silent. Don’t turn away. You may not know what to do, but you can at least talk about that… talk about what you are seeing that deeply disturbs you, reach out to others, start a conversation about what needs to happen. And listen, always listen. Posted in Harmony and Difference, Ruminations... and tagged Activism, Buddhism, Eric Garner, Ferguson, Racism. Bookmark the permalink. 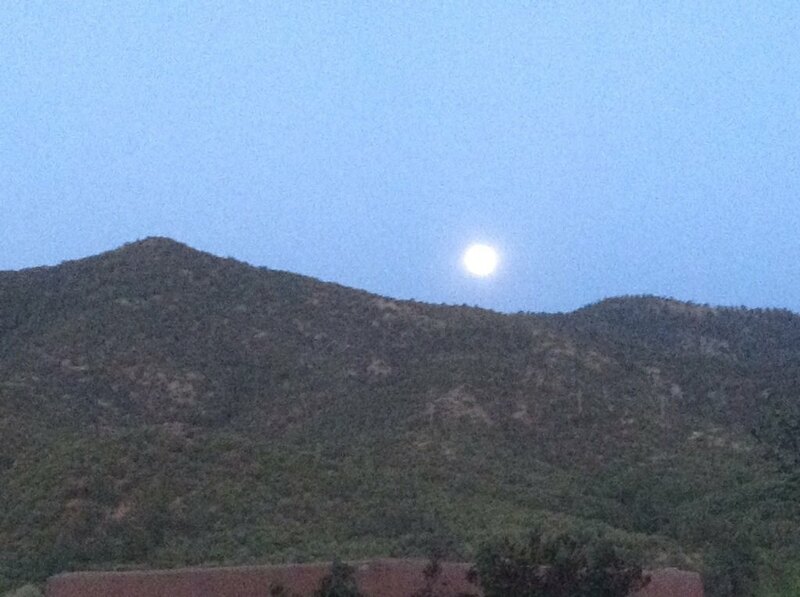 As this month’s full moon shines down and illuminates the valley that is my home here in Santa Fe, I’m thinking about deep change and transformation. Over the past month, I’ve been supporting the 24 people who are going through “Fall in Love with Your Work.” One of the things I love about teaching this course is watching the transformations that unfold for participants on their way to create right livelihood. When I first created the course, I didn’t anticipate the deep levels of change that people would go through – not all of those changes directly related to their work. Some of them ended relationships that no longer served them or their partners. Some started exciting new projects, like a meditation group for their local community. Some dove headlong into creative endeavors that they had been postponing for way too long. I thought I was simply offering a course that might help people get closer to work they would love. But in the process, I started to get how much our work in the world is an expression of our soul. So of course it makes sense that by deeply connecting with our mission and purpose related to livelihood, we would experience a shift at a soul level as well. Transformation is not about making superficial changes – it’s about radically altering something at a deep level. 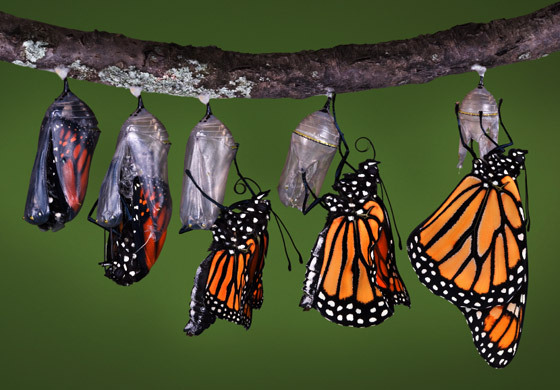 What makes transformation possible? Dec 21: Seattle Liberation Lounge! If you’re in the Seattle area, I’d love to meet you in person! Join me on Sunday, December 21, for a “Liberation Lounge” afternoon soiree with like-minded and spirited folks. We’ll explore the nature of liberation, celebrate the Solstice, and enjoy some yummy treats. You can RSVP via Facebook or contact me at maia@liberatedlifeproject.com for more details. Interested in bringing mindfulness into your workplace? Re-Connection and Renewal (R+R) workshops and retreats are designed to do just that. This past month, along with my friend and colleague Katya Lesher, I offered a one-day R+R retreat for staff of the Cincinnati Children’s Hospital. Get in touch with me to learn more about how you can bring a custom-designed R+R to your group or organization. Katya Lesher and I will be co-leading “Re-Connection and Renewal: A Women’s Weekend of Mindful Nourishment” at Upaya Zen Center, June 26-28, 2015. Please save the dates — I’d love to have you join us here in beautiful Santa Fe. If you’d like to sign up for my mailing list to receive these monthly e-letters, c’mon over here. Posted in Ruminations.... Bookmark the permalink. Rev. Danny Fisher has made some big changes in his life — leaving his position as director of the University of the West Buddhist Chaplaincy Program, moving to Toronto with his wonderful wife Stephanie, and starting a new web venture: “Off the Cushion.” In its short existence, Off the Cushion has featured stories on Ven. 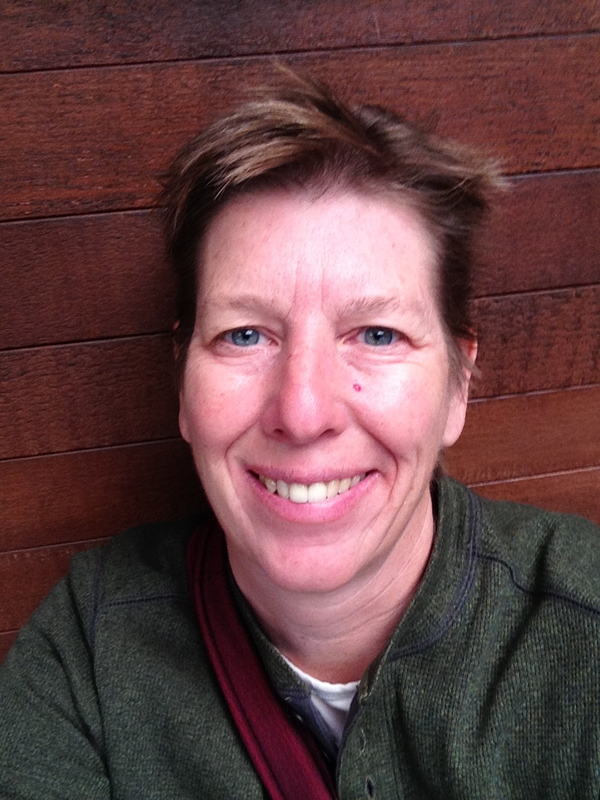 Bhikkhu Bodhi and the People’s Climate March, Cambodia’s social justice monks, and “Buddhism After Ferguson,” a podcast of an interview with Buddhist Peace Fellowship’s Dawn Haney (Director of Training & Development) and Katie Loncke (Director of Media and Action). Danny’s doing some innovative stuff on his new website… check it out! Speaking of the Buddhist Peace Fellowship, my old stomping grounds, have you been following their series on the Four Noble Truths? It’s been unfolding all this past year with a number of excellent writers and dharma teachers taking a look at the Four Noble Truths through the lens of social and environmental justice. One of my favorite authors of the series has been Funie Hsu, a former LA public school teacher and Postdoctoral Fellow at the University of California, Davis in the School of Education. Funie is focusing her four articles on how systemic violence plays out in students’ lives. BPF is also sponsoring a call on November 3, 6 pm (PDT), on “How Does you Dharma Practice Support Your Social Justice Work in the World?” I’ll be speaking on the call, as well as The Revolution Starts At Home author Leah Lakshmi Piepzna-Samarasinha and East Bay Meditation Center sangha leader Max Airborne. The call is for BPF members — you can become one and support this great organization on this page. 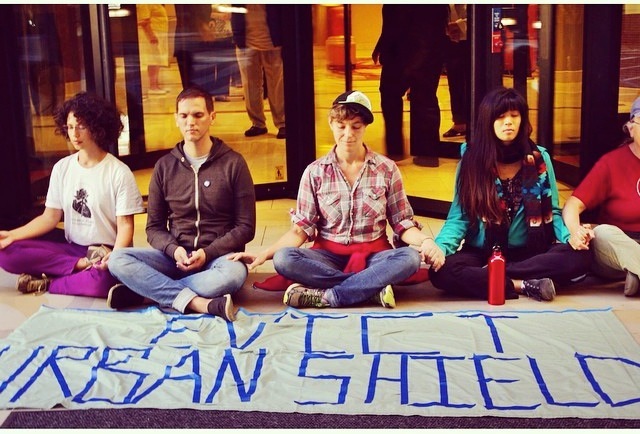 And finally, you may want to join up with Sangha in the Streets, a Facebook group I started back in 2011 during the Occupy Movement as a way for contemplative practitioners to find each other and organize “public displays of practice” as part of larger protests. Since that time, it’s been a way to stay connected and has recently become more active around the People’s Climate March and Ferguson, MO. In the end, it’s all about staying connected and staying present…. Posted in SEB News. Bookmark the permalink. Time and space are how we move through this world. In this digital age, we’ve gotten so attuned to our devices, whether they are smartphones or laptops or something else. The more digital we get, the less human we are…. that’s my feeling, anyway. Over the past few months, I’ve been remembering how good it feels to pay attention to the moon. When I lived in the San Francisco Bay Area, I was part of a small sangha (Buddhist community) that took full moon walks along a eucalyptus tree-lined trail in the Oakland hills. We would walk about 20 minutes in silence until we reached a certain overlook. Along the way, someone would ring a bell of mindfulness every so often. Then on the way back we took time to catch up on each other’s lives, renewing friendships and connections that might have been put aside in the busy-ness of the previous month. In July, I co-led a full moon ceremony at the International Women’s Partnership for Peace and Justice center in northern Thailand. My co-conspirator for that ceremony was Nicole Sangsuree Barrett, an extraordinary young woman who was there for the Buddhist Education for Social Transformation course that I was helping to teach. 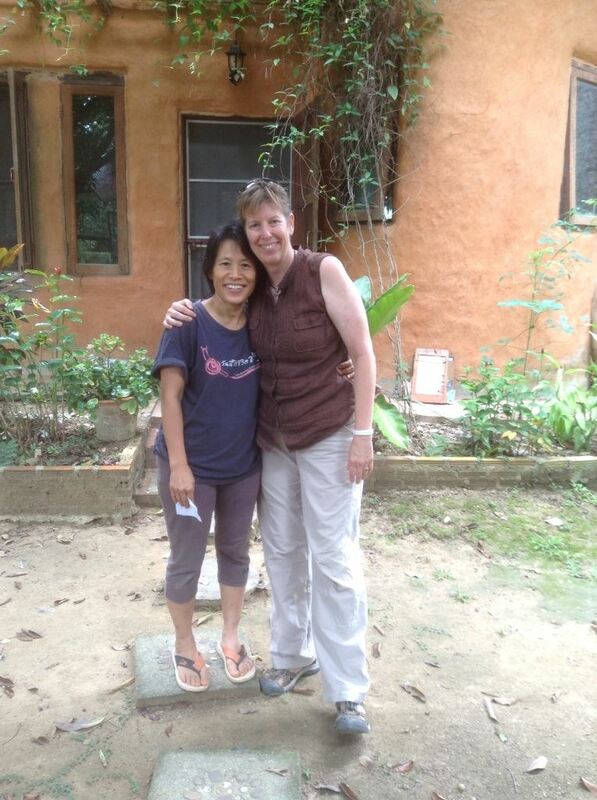 Sangsuree was a gifted ceremonialist and she designed a beautiful ritual to support all of us to reconnect to the earth and with each other. Just five days later, Sang was killed instantly when she was hit by a car in Chiang Mai. As you might imagine, her loss was devastating for so many people who loved her. At the same time, there were many gifts that flowed from her death (I wrote more about Sangsuree’s life and death here). For me, it was that reminder of how important ritual is, how deeply we human beings need that chance to find our way back to the ‘home’ that is always there in nature and deep inside each of us. As you move into this next month, how can you create time and space in your life to re-connect and renew yourself? It might be as simple as turning off all your digital devices for one day of the week and being more present to yourself and those you love. This is so important in this world of ours these days… it’s really an act of healing to be present. I’d love to hear how you do this in your life – drop me a line and let me know. 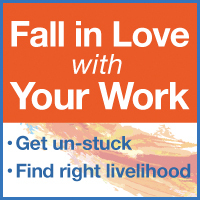 Kicked off the October/November round of “Fall in Love with Your Work,” the e-course that I created three years ago. This time around we have 24 people taking the course from all over the world. I’m looking forward to watching big transformations unfold! I’m helping the Academy for the Love of Learning, a wonderful Santa Fe-based nonprofit, to lay the groundwork for a very exciting project called “The City That Learns.” I’ll be sharing more about that in the near future. On another note, I just returned from a journey through the Southwest. One of the highlights was spending time at Canyon de Chelly, in Chinle, AZ. Joseph Campbell once called this “the most sacred place on earth.” Yes. I want to return and have more time there. Interested in bringing mindfulness into your workplace? Re-Connection and Renewal (R+R) workshops and retreats are designed to do just that. This month, I’m traveling to Ohio to co-lead a one-day retreat for the staff of the Cincinnati Children’s Hospital. Get in touch with me to learn more about how you can bring a custom-designed R+R to your group or organization. Katya Lesher and I will be co-leading “Re-Connection and Renewal: A Women’s Weekend of Mindful Nourishment” at Upaya Zen Center, June 26-28, 2015. I’d love to have you join us here in beautiful Santa Fe. It’s been a quiet month for writing… more coming soon! Occasionally I like to cross-pollinate here from my other, more stealth Buddhist blog, The Liberated Life Project. I thought that you — my Jizo peeps — might enjoy knowing that I’m offering an e-course in October called “Fall in Love with Your Work.” This is an 8-week adventure into the heart of ‘right livelihood’ and how you can make it happen in your life. It’s very much based in a perspective of mindfulness. If you’re considering making a shift in your professional life, starting to work for yourself or starting a business, or if you need to re-align your relationship with your current job so that it feels more meaningful, “Fall in Love with Your Work” may be right up your alley. You can find out more on this page. Registration closes next Monday, September 29, and the course starts on October 1. I hope that some of you will join me for this! p.s. Sharon Salzberg was kind enough to send me a box of her “Real Happiness at Work” to help promote this course. I’ve still got a few left — if you register this weekend you’ve got a good chance at receiving a free copy of this great book! can accelerate your own path of liberation. Your life is bigger than the boundaries around your skin. When I was growing up, I loved the start of the school year – new books to read, inspiring teachers to learn from, and reconnecting with friends returning from summertime adventures. I’ve always had a passion for learning and connection. September has always felt to me like the real beginning of the year – I wonder if that feels true for you too? As this September starts, I’m ready to create something new… hence this newsletter! A little background may be helpful. 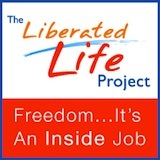 You’re receiving this email because you’ve signed up for one of my lists: the Liberated Life Project, Five Directions, and/or the Jizo Chronicles. Over the years, I’ve discovered that readers on any one of those sites often have no idea that the others exist. It seems I’ve created different spaces for different parts of myself… but now I can see how connected they all are. Recently I’ve started to see how all these venues — and my whole body of work — have one thing in common: creating space for learning and transformation. In the next few months, my big project is to bring together these online personas into one integrated space, a place dedicated to transformative learning and mindful awareness and to supporting those who share those values. This monthly newsletter is a first step in that direction and makes it easier for me to tell you what else is going on in my ‘world work,’ as a friend calls it. I know lots of folks are downsizing in the email department. If you need to unsubscribe from this one, I understand. But if you feel that you’d enjoy hearing what I’m up to, staying in the loop about ways to learn along with me, and keeping connected to the other great folks please do stick around! I would love to stay connected – if that feels right to you. p.s. 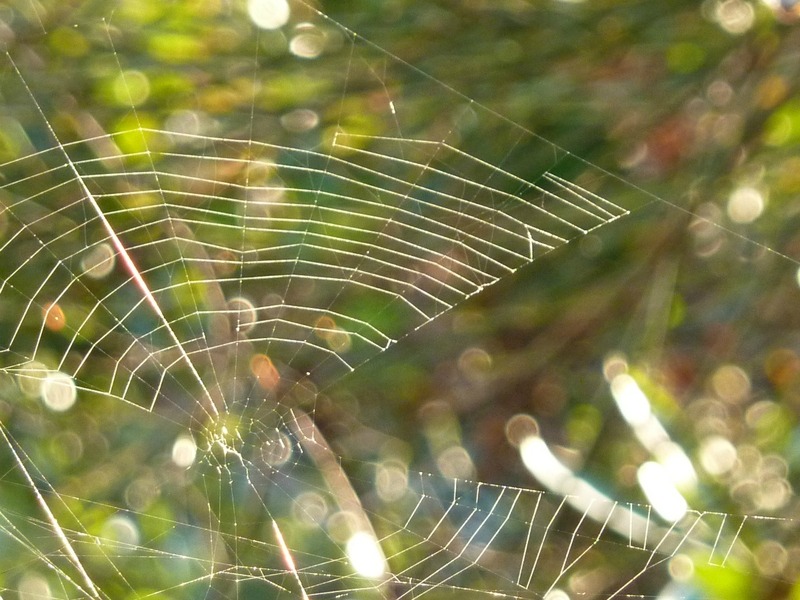 the beautiful photo of the spider web, above, was taken by my friend and colleague, Katya Lesher. June — taught mindfulness practices at the Empowering Blind Students in Science and Engineering workshop, Seattle, WA. August — facilitated a planning retreat in New Hampshire for a group of people founding a nonprofit organization. Fall in Love with Your Work! This October, join me for a journey into right livelihood! This is the only time this year I’m offering “Fall in Love with Your Work,” the e-course that’s been life-changing for many people. I’m expanding the course to two months, and there’ll be an extra-special gift for the first 10 people who sign up (registration opens Sept 15). Learn more and get on the “Advance Notice Discount” list on this page. I’m delighted to announce that Katya Lesher and I will be co-leading a retreat at Upaya Zen Center, June 26-28, 2015. Please save the dates — I’d love to have you join us here in beautiful Santa Fe. More details coming soon! Lately I’ve been thinking a lot about despair and hope… how do we move from one to the other, how do we not lose hope when so many terrible things are going on — from our own neighborhood to all around the global community. In this age of nearly unlimited internet connectivity, we hear about these tragedies in nearly real time. In the middle of my comfortable life it can be easy to ignore all this and more. The practice: Not turning away. Not turning away is not easy, but it is what I understand to be the foundation of our bodhisattva vows. Being present to the truth of suffering, connecting with compassion inside of me, and then taking loving action from that place. After I put up that post, I thought a lot about how I could respond in each of those cases. Initially I felt a sense of hopelessness, of how daunting it is to even consider addressing any one of those. But thanks to that very internet connectivity that made me aware of these situations, I was able to find what some other folks are doing to respond. And so was born… The Yes List. Who knows… maybe this will become a regular feature on The Jizo Chronicles. YES! The Open Letter crafted by Jewish Voice for Peace… eloquent and powerful. A call for compassion for all sides, at the same time recognizing the root causes of the violence and calling for Israel to end the illegal occupation of Palestine. I encourage you to sign the letter. And let us know what other creative and generative responses you know of to this crisis. YES! The good work of United We Dream, an organization pushing to re-frame the situation with the children in Texas as a refugee crisis, not an “illegal immigrant problem.” UWD has organized a three-day vigil in McAllen, TX, to raise awareness of this issue and they’ve got a petition you can sign to urge President Obama to take action to protect all immigrant families. YES! This piece of news just came to my attention in the last day, and I am more attuned to it because I’m here in Thailand right now and there are seven Burmese women in the group I am currently helping to facilitate. With this being a very recent development, I couldn’t find an immediate response. But I am betting that Amnesty International will be an excellent resource, as it always is in cases like this. Keep an eye on them — they’ve already got an article on the situation posted here. And for good measure, here’s one more to add to the Yes List, a creative response that I just love. A group of folks in Dallas, TX, took to the streets on Friday to demonstrate for their right to open carry…. guitars. Yep, guitars instead of guns. Amen. Posted in Bodhisattva Action Alert. Bookmark the permalink.